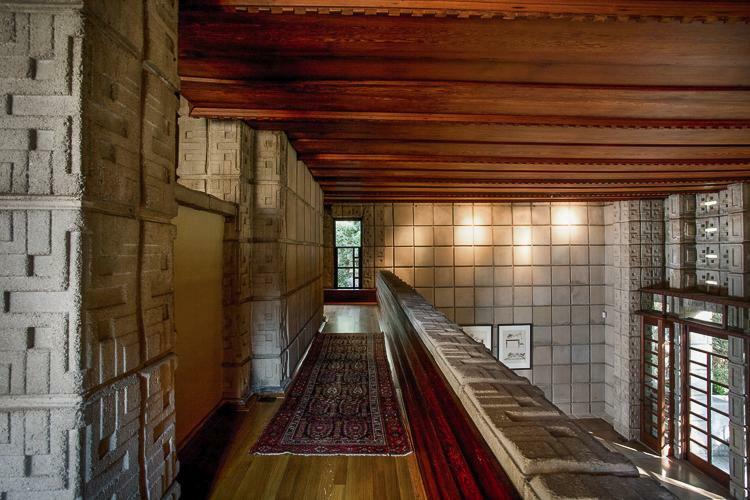 Frank Lloyd Wright built the Millard House (La Miniatura) in Pasadena, California, after experiencing the use of concrete with the Unity temple in Illinois. But he was dissatisfied with it as a construction material. 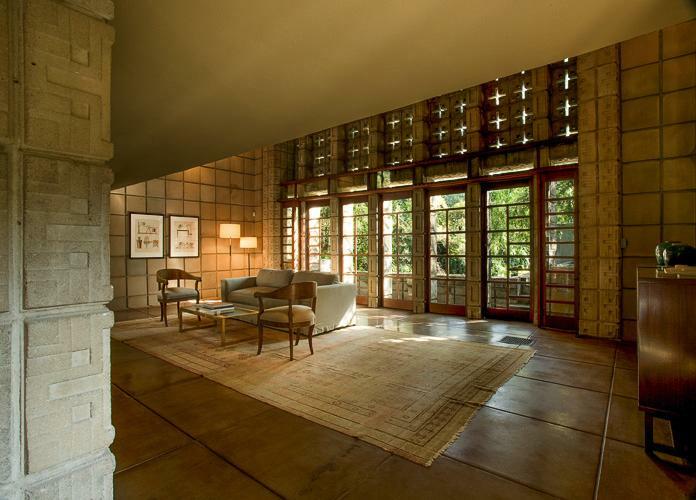 Frank Lloyd Wright’s architecture was strongly influenced by nature and he felt that designing that way was a natural thing to do as natural forms tend to crystallize or produce repeating patterns, and modular grids provide discipline and proportion. 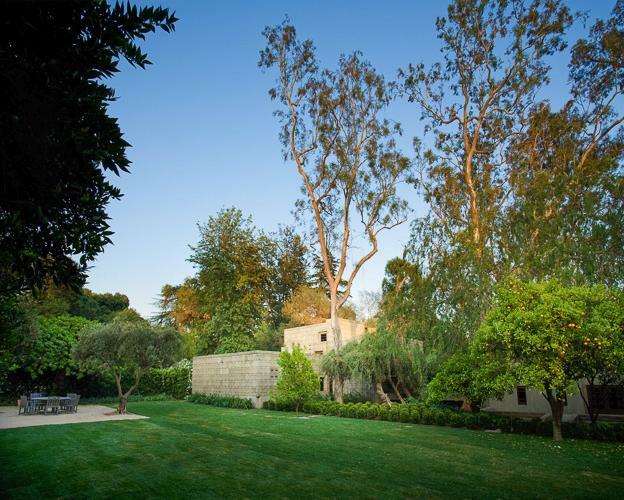 Poured concrete, however, does not depend on regular, grid-like patterns. 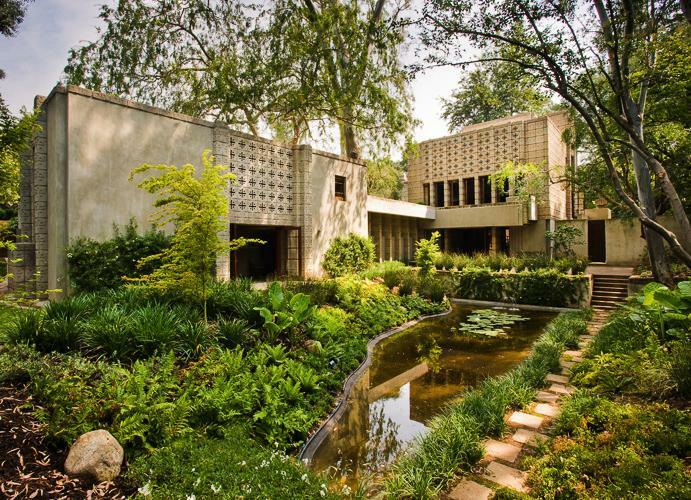 A concrete wall can extend indefinitely, without joints, frames or other structural punctuation. The answer was to use concrete blocks, which could be treated as a repeating element. The architect embraced this decision as a challenge. According to Wright “concrete blocks are the cheapest and ugliest material in the building world, so let’s see what could be done with that gutter-rat”. 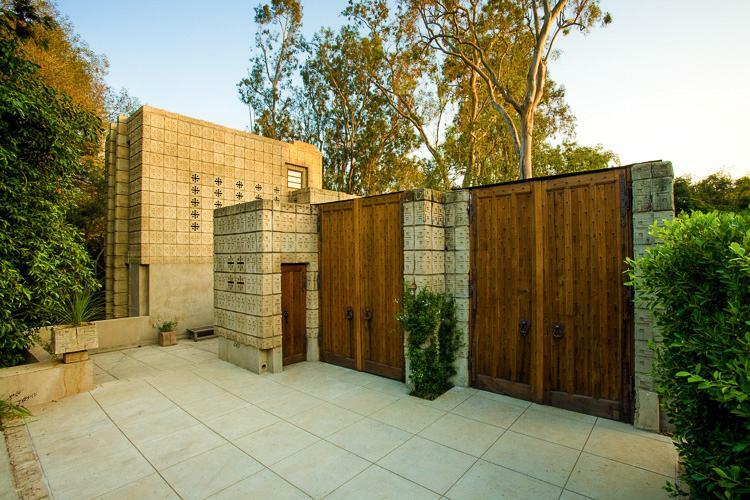 Frank Lloyd Wright’s La Miniatura is a textile block house and textile-block houses were named for their richly textured brocade-like concrete walls. 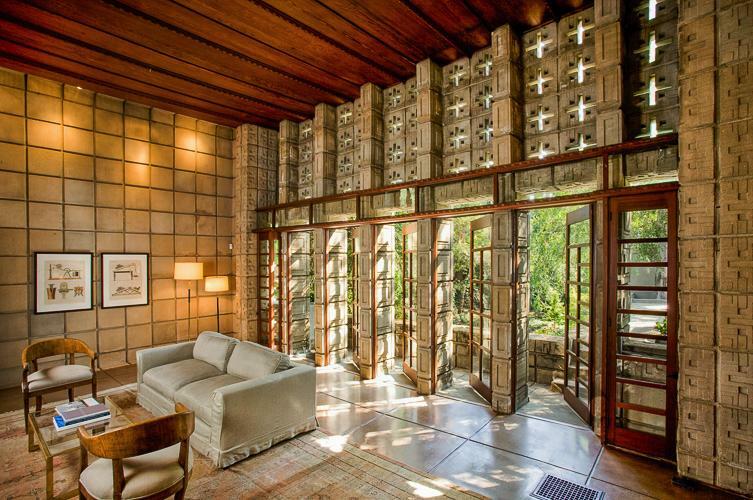 Also, with La Miniatura, Frank Lloyd Wright introduced a new building technique that he called Modular housing. He sought to develop an inexpensive and simple method of construction that would enable ordinary people to build their own homes with stacked blocks. So he developed a special kind of concrete block. Each block had a groove in each edge, and when the blocks were laid, a strand of reinforcing steel was fitted in the grooves to lock the blocks together. 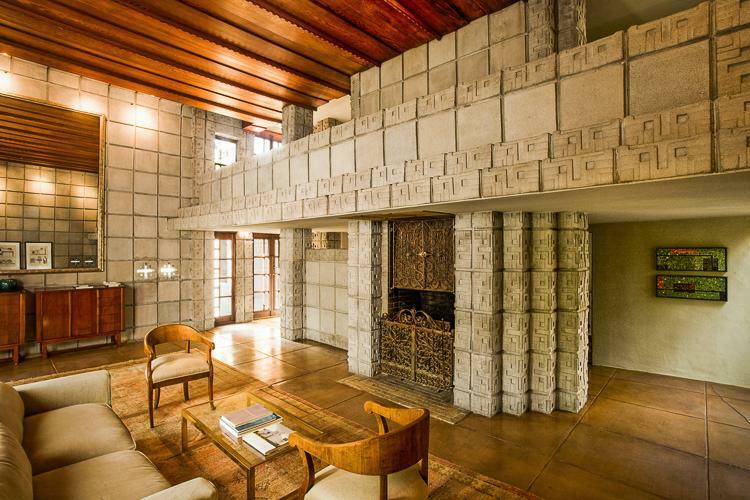 The blocks were created in wooden molds with patterns on the outside and smooth on the inside and featured a symmetrical pattern of a cross with a square in each corner. 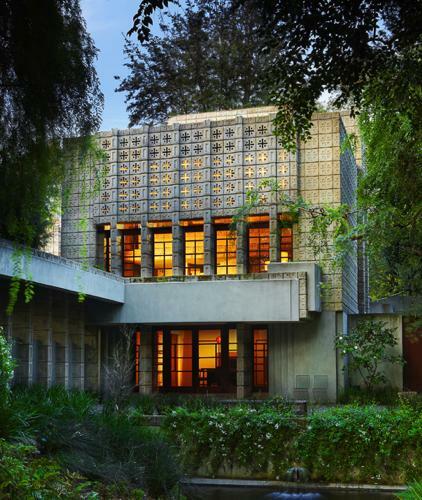 The blocks were specially cast to Wright’s specifications and could carry custom-designed patterns, making the ornament an integral part of the house design. La Miniatura is made up of a vertical three-story block. On the first floor there’s the kitchen, the servants quarter and a dining room opening up onto a terrace with a reflective swimming pool. On the second floor, where the main entrance is situated, there’s also a guest room, a two-story living room and a balcony. On the third floor the master bedroom is located with a balcony overlooking the living room and the outdoor terrace. The interiors of the Millard House are warm and inviting. 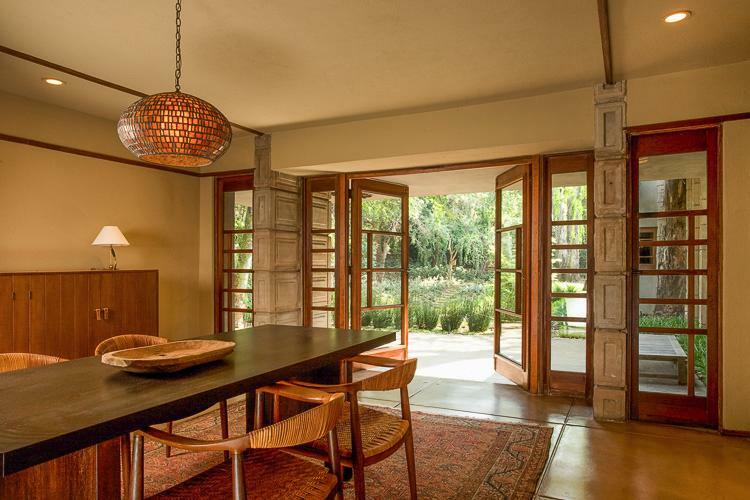 Although the floors and walls are made of concrete, they do not feel cold or harsh because they are polished to a quality finish and visually warmed by good natural light and details such as the wooden-clad ceilings.